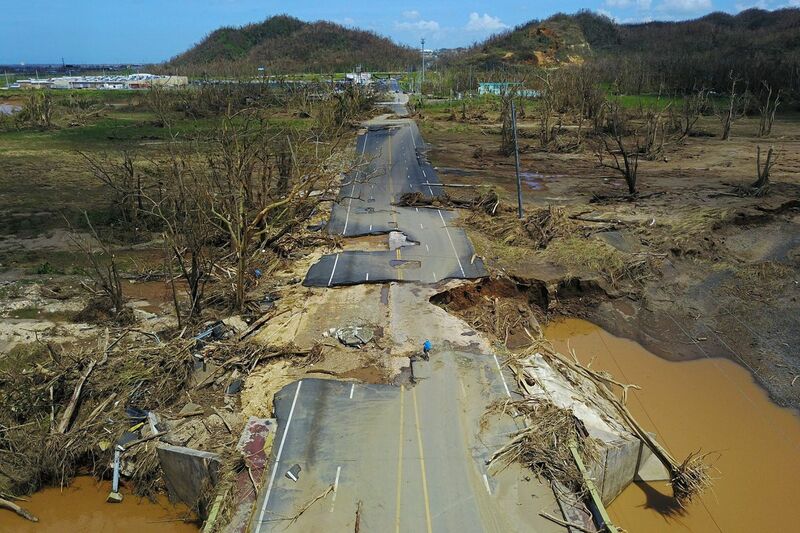 Some 870,000 electricity customers across Puerto Rico were left without power on Thursday after another widespread outage, forcing the island's main public hospital and international airport to switch to backup generators as the U.S. territory struggles to recover from Hurricane Maria. The island's Electric Power Authority said a tree fell on the main line that supplies power to the capital of San Juan and surrounding areas from the north coast to the southeast. The tree fell as crews cleared land in the southeast mountain town of Cayey as part of power restoration efforts. Interim power company director Justo Gonzalez said it could take seven to 11 hours for power to return. The announcement sparked outrage across social media from people who said they are fed up with ongoing outages and demanded a permanent fix to that line, which has failed several times in recent months. Some people riding on San Juan's electric-powered rapid transit system got stuck and had to get out and walk along the rails. Shops and movie theatres at the island's largest mall had to close. Left without air conditioning, barber shops and other businesses threw open their doors as employees kept working. Among them was the restaurant Casa Manolo in San Juan, which doesn't have a generator. It kept cooking on gas stoves for the 30 customers dining at the time of the outage. "You get used to it," said owner Manolo Piqueres. "The sun comes out eventually." Fredyson Martinez, vice president of a union that represents power company workers, said in a phone interview that another line the company was trying to use to help back up the main line also failed on Thursday for unknown reasons. Puerto Rico is still relying on nearly 900 of the more than 2,000 temporary generators installed by federal officials after the storm. Backup generators at the island's main public hospital and international airport kicked in following Thursday's outage. Across the island, more than 50,000 customers of the 1.47 million remain in the dark since the Category 4 storm struck on Sept. 20 and destroyed up to 75 percent of distribution lines. Federal officials said Wednesday they expect to have a plan to strengthen and stabilize the power grid by June for an initial estimated cost of $17.6 billion.